WHAT IS THERMA-START™ FOR COMPACT EQUIPMENT? 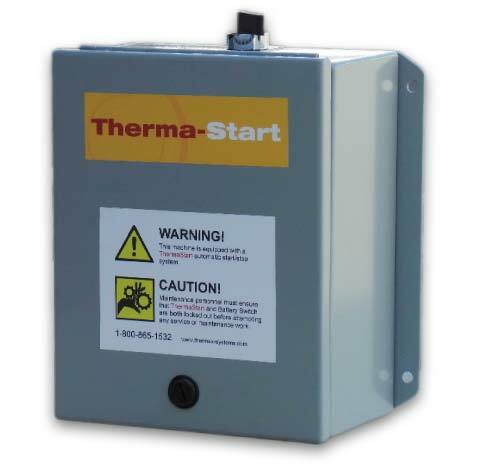 Therma-Start™ Equipment Runtime Controller is an electronic monitoring system that easily installs on any diesel-powered equipment and provides programmable times and parameters for start-up and shut-down. By installing a Therma-Start™ controller; fuel consumption, maintenance costs, and carbon footprint can be dramatically reduced. Fuel and energy waste from diesel-powered equipment can be a real problem. If generators, lighting systems, etc. are running without idle management, you are losing money! With fuel costs being what they are, not to mention the additional impact to the environment, energy conservation is a win-win for all. Our Therma-Start™ compact equipment idle management systems can help you save on fuel costs and additional maintenance by automatically shutting off non-critical systems. If your Compact Equipment are idling, that’s a significant cost – both financial and environmental. Our Therma-Start™ idle management system can dramatically reduce both. 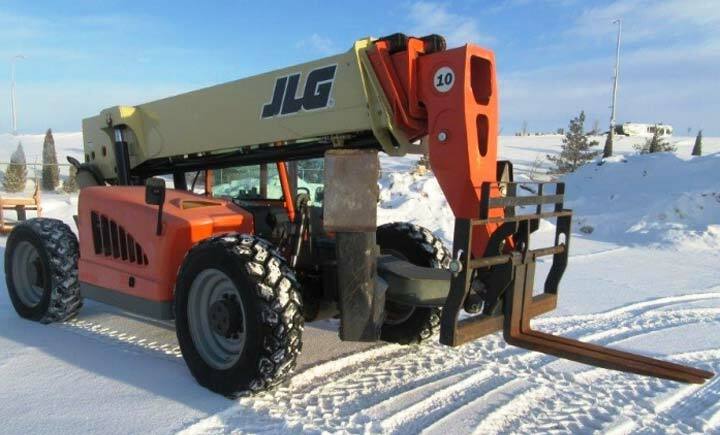 Compact Equipment such as forklifts, welders, air compressors, etc, are frequently left running all day especially during the winter to ensure availability for on-demand use. If units are shut off until needed, there is a high likelihood of some serious restarting issues during cold weather. Continuous running/idling under no load produces a lot of wet stacking and carbon buildup which unfortunately can result in blown heads, in-turn significantly increasing overall maintenance costs and down-time. Our Therma-Start™ idle management technology will not only slash those needless maintenance costs but also continue to pay for itself over and over again from fuel savings alone. Dead batteries and start-up issues can become a thing of the past. Plus, carbon footprint from engine idling is so substantially reduced, it’s becoming a factor of growing importance to fleets when contracts are being awarded. The payback from fuel saving is typically recouped in just a few months! When you also factor in significantly extended maintenance intervals (ie. Oil Change / Service) along with greatly reduced wear and tear your payback escalates dramatically.